These are figures from the UK, but it’s much the same in most western countries. More acting facts. The reality is that an acting career for most trained, skilled actors is a game of intermittent work, mediocre successful and low income. We’re not going to beat around the bush and we like to be straight up with what it’s like out there. Acting is a whole lot of fun and can be a rewarding, but it’s not always worth making the shift to a professional career. Great. If this is your goal then you have to go after it. Here’s a video where Jim Carrey talks about how you can fail at careers that seem safe, like accounting, so you may as well go after your passion. I think this is true. It’s tough out there whatever path you take so you may as well follow your dream. So let’s assume you’ve had the hard chat with yourself and you want to take the step from hobbyist to professional actor. How do you get into acting? The first step is to ask yourself what you want to do. This is born out of what you love. Do you want to work on stage or screen? Or both? Do you love comedy or drama? None of these are mutually exclusive, but it’s great to know what you’re passionate about early on, so that you can start moving towards that goal. If you’ve got an idea of where you want to head, dive into the next step – training. If you want to get into acting you have to train. That doesn’t necessarily mean the conventional 3 year acting school approach, but it does mean training in a serious way. You need to refine your craft and build up experience if you want to be a professional actor. If you’re serious about a career in acting, traditional drama school is still the best approach. It offers you comprehensive training, qualification, years of stage experience, contacts, and very importantly for having a career in acting – an industry showcase. You get the skills and it significantly increases your chances of landing an agent and thus future work. A weekly class is a great way to get into acting. If you find the right teacher, doing a weekly class can often be the best way to practice your acting. It will focus you and give you a chance to explore techniques over a number of weeks. If your acting training is made up of short courses and weekly classes you need to be cautious not to over-commit and instead find classes that offer a specific outcome. Often it’s not your acting that needs work, but your voice or movement. Look into voice and movement classes, as well as acting classes. These two areas are specially important if you want to have a career in theatre. Short courses can be a great way to develop your skills. Again it’s about picking courses that move your career forward. Always ask your peers or industry contacts what courses and teachers they recommend, there are a lot of hacks out there. Short courses can be great for mastering a particular skill. For example a short course on something like auditioning for commercials. Masterclasses can be a great way to inspire you. They are often too quick to offer any real developments, though many do sell the idea of “break-throughs”. 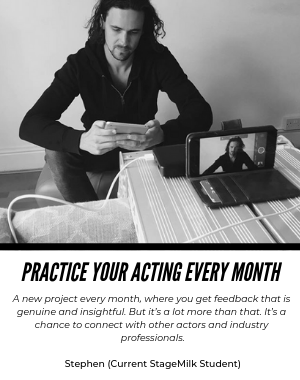 I believe it is possible to make huge leaps in your acting very quickly, but be cautious about spending a tonne of money on a ‘break-through’ that may or may not happen. Most early career actors simply need more stage or screen experience. They need to learn the fundamentals and then work tirelessly putting them into practice. 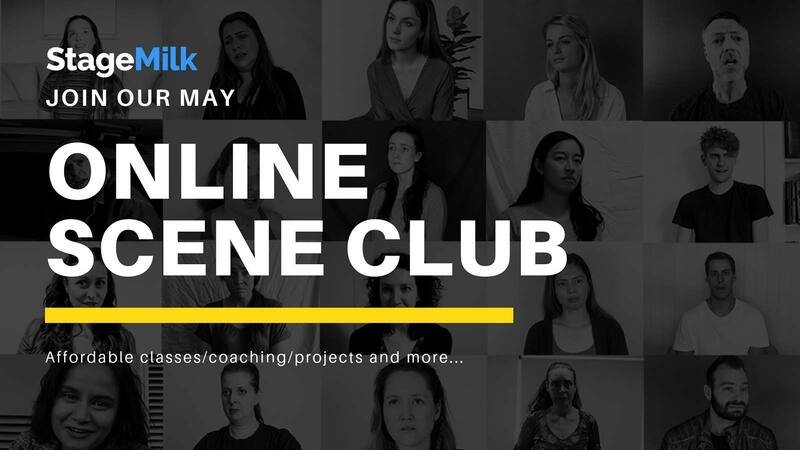 Whilst learning online can be tough, as the key to acting training is getting up on your feet and experiencing a scene or monologue, we recently created an online acting school that tries to combat this issue by making the course really practical. If you didn’t get into drama school this first time round, aren’t sure whether acting is for you, live in a remote location, or just like learning at your own pace, check out StageMilk Drama School. Read plays. The best thing you can do outside of training is to read plays. Read 8 plays a week, if you can. Push yourself to get used to different types of dialogue and up your skills. The StageMilk team took on the challenge, and we found it not only a lot of fun, but also gave us the opportunity to sit down and read with a purpose. You now understand the importance of acting training. And I can’t reinforce it enough. There are elements of being an actor that are out of your control, and having a successful career can be dependent on big spoonfuls of luck, but being a great actor means you meet these moments of luck head on and can smash it out the park. Headshot. Whether you’re looking for an agent or going solo, you need a great headshot. We have some awesome resources on headshots. Showreel. You need some great footage to show off your acting. Put together a simple, but captivating showreel. More on Showreels. Agents. Look, having an agent is really important. If you want to go from amateur to professional this is an important step. Check out how to get an acting agent. Casting Directors. You need to make an impression on casting directors, the gatekeepers of the industry. Work with your agent to establish strong relationships here. Auditioning is it’s own skill. It’s often nothing like the actual reality of being on set or on stage. Approaching it as it’s own craft means you can fine-tune your skills and start nailing auditions. Prepare. Always be well prepared. Read the play, film or TV show. Learn your lines backwards and make sure you do the work on your script. Be open. Taking direction is one of the main factors in nailing auditions. It’s important to always be flexible in your preparation. If a director gives you a note, take in on wholeheartedly. Walk away. Once the audition is over, walk away. Don’t get caught up in the outcome. Think of it as an opportunity to act. Extra work. If you want to get a feel for a film or TV set it might be an idea to do some extra work, but extra work does not lead to an acting career. It might be worth dipping your toe in, but only a couple of times. Mass send outs. Sending out general information to agents and casting directors is not a great move. If you are looking to establish relationships, keep all your contact professional and personal. Get glamour shots. Keep your headshots natural. Tip: they should look like you. Fluff your CV. Don’t be ashamed of your CV. It’s better to be honest and precise than to make up or elaborate on a bunch of credits. It’s a long road ahead for most young actors, but it’s a fun and exciting journey. There’s no shame in starting out or being a beginner – we have ALL been there. 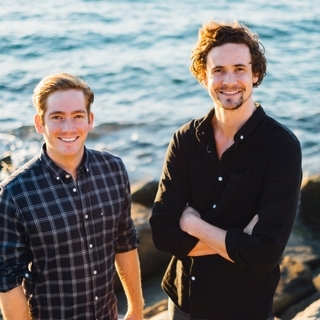 Don’t be afraid to ask for help, make new friends and connections with like-minded actors, and learn from them. Actors are generally pretty generous people, and what comes around goes around. Best of luck, perhaps we’ll see you in the next intake of StageMilk Drama Club! This is our private community for actors who are keen to gain experience and work on their craft. If you want an affordable way to get experience as an actor. This is your best bet. LEARN MORE.